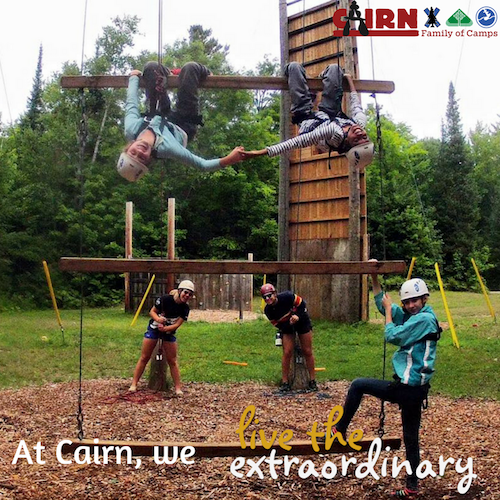 At Cairn this week we have MADD just starting up at Glen Mhor and our Adventure crew is continuing on to their second week of excitement. At Glen Mhor, preporations for our show are underway and the theme this year is Alice in Wonderland. This morning we got started with our major and minor actvities, laying out our plans for the performances we will each be involved in this week. In the afternoon we spent some time with our cabins taking part group initiatives to build up our cabin communities and and teamwork skills. We are looking forward working on the show even more tomorrow and are super excited to perform for all of you at the end of the week. At Iona, our folks ventured off down the muskoka river sunday afternoon. They will be back wednesday to share all of their exciting stories from trip! Stay Tuned for our Wednesday post for updates on exciting stories from the week!